Our Veteran's Memorial is a very popular feature for our area residents and veterans. Therefore, after over 56 years of wear and tear to our Veteran Memorial Monument, Miami Memorial Park decided to restore this important monument as a tribute to our fallen soldiers. The reconstruction project was completed October 2015. 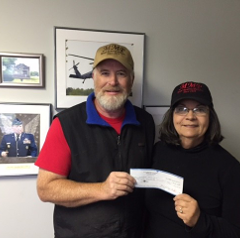 We continue to seek support from veterans in the area that we service. We hope that you enjoy the new memorial and use it for veteran planned events thoughout the year. 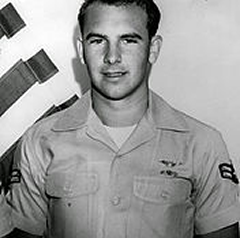 Miami Memorial Park is honoring William H. Pitsenbarger, a Vietnam War Hero, by sponoring an effort to fund a special memorial to him. Lora Aleo, CEO and President of Miami Memorial Park, has set up a Go Fund Me Account for donations. The goal is to reach $25,000. The link to said account is: https://www.gofundme.com/bill-pitsenbarger-memorial . Miami Memorial Park wants to thank everyone that has donated to the restoration of the Veteran Memorial Monument. Restoration and maintenance would not be possible without the generous donations received. Thank you very much. 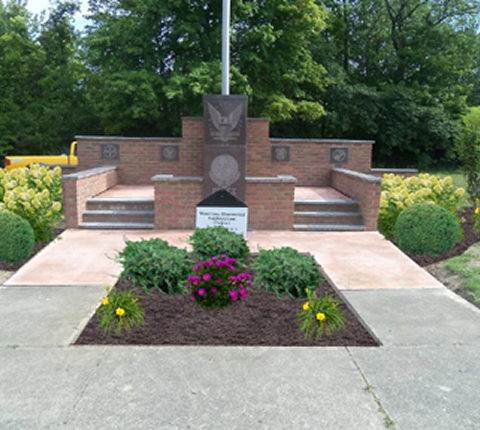 If you wish to donate to the Veteran Memorial Continued Maintenance, contact Lora L. Aleo, Chief Operating Officer, at 937-473-3038.